Reading FC chairman 'loses £300m' Jump to media player It is revealed that the chairman of Reading FC has lost more than £300m since 2008. Lerner puts Aston Villa up for sale Jump to media player Aston Villa's American owner, Randy Lerner, has put the football club up for sale so it can look for "fresh, invigorated leadership". Ricky Hatton leads charity side Jump to media player A football team led by boxing legend Ricky Hatton takes part in a charity match in memory of a Salford mother-of-two who was murdered by her boyfriend. 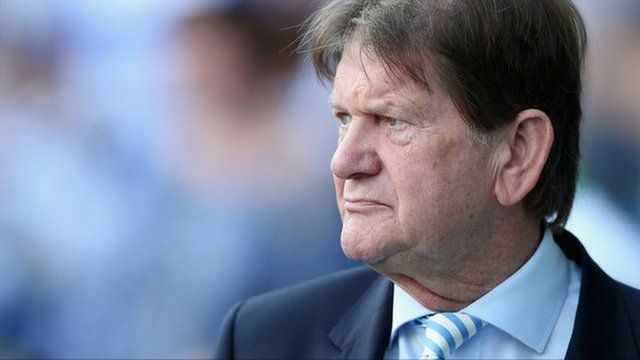 Sir John Madejski resumes control Jump to media player Reading chairman Sir John Madejski has resumed control of the Royals. The chairman of Reading FC has lost more than £300m since 2008, it has been revealed. Sir John Madejski may be relegated from the Sunday Times Rich List with most of his companies now reporting losses. The businessman, who made his fortune in printing, is now thought to be worth £100m.